Novation Launchpad USB MIDI Controller for Ableton Live DJParts - All Variety of Parts that DJ Needs. Jointly designed by Ableton and Novation, Launchpad places Ableton Live at your fingertips. Whether you’re a DJ, performing musician or studio producer, Launchpad gives you all you need to truly ‘play' Live. With a multi-colour 64-button grid and dedicated scene launch buttons, Launchpad is purpose built for triggering and manipulating clips in Live, it also offers a totally new way of controlling Ableton Live’s mixer. Launchpad's buttons can be used to sketch out beats with drum racks, and they can be assigned to other functions in Live using Ableton's 'Learn' mode. 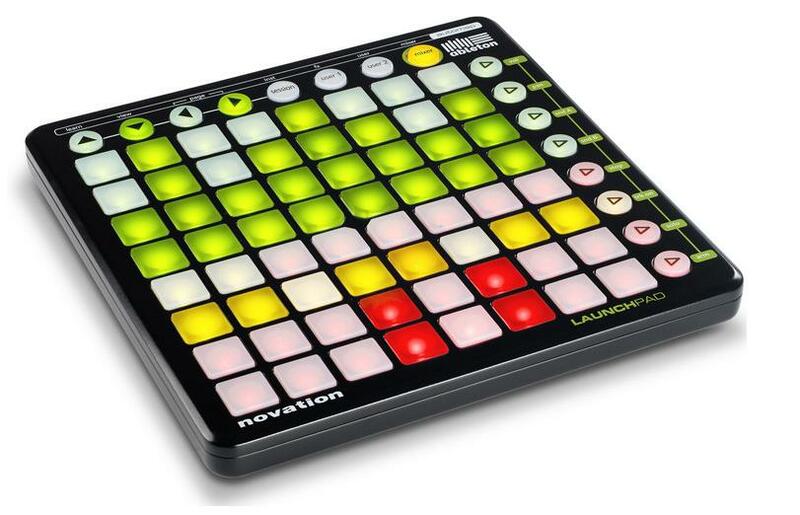 Launchpad ships with a dedicated ‘Launchpad edition’ of Ableton Live 8, but can control almost any other music software using Novation's award-winning 'Automap' control software. Back to topKey Features• Launch clips and scenes Launchpad’s 64-button grid and dedicated scene launch buttons are ideal for launching and controlling your clips and scenes. Including volume, pans, sends, track arming, soloing and muting. Launchpad lets you jump to different levels across eight channels at once. Launchpad can be used to play drum racks, creating beats and triggering samples in real time. 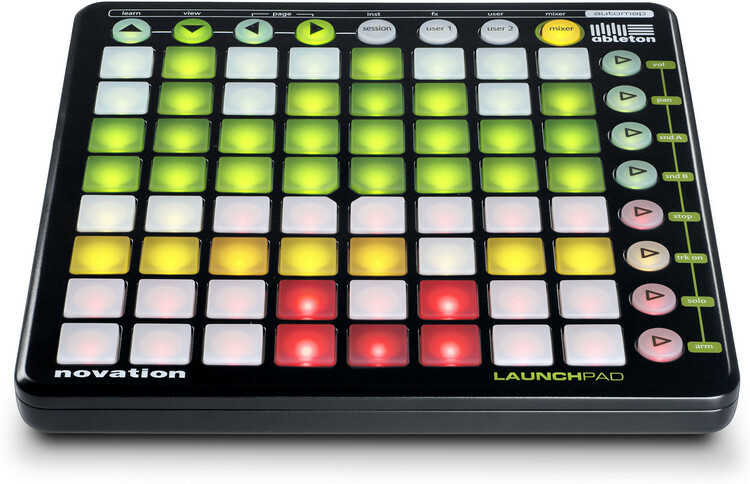 Launchpad can be used to control other functions using Ableton's 'Learn' mode. This includes Ableton's knobs and faders, which can be assigned to rows of buttons on Launchpad. Back to topSamples1 GB of Loopmasters Samples courtesy of www.loopmasters.com Back to topMultiple Units• Go Large! Launchpad supports multiple unit operation. Connect up to 3 Launchpads at a time. Expand your grid with multiple Launchpads, or have one Launchpad dedicated to mixer mode, and the other to launching clips. Novation’s Automap-enabled controllers work seamlessly together – a ZeRO SL MkII to control the mix, whilst Launchpad triggers clips! Back to topAutomap ControlLaunchpad can also be control other DAWs and plug-ins using Novation's Automap control software. Automap can assign controls to software parameters on VST/AU/RTAS/TDM plug-ins by simply clicking on them, and touching a controller! For instant, intelligent control over VST/AU/RTAS/TDM plug-ins and all MIDI compatible standalone software applications. Automap provides a customizable heads-up transparent display across your computer screen. Ideal for seeing at a glance samples that you're about to trigger. Automap PRO, an optional upgrade available to purchase online, lets you assign almost any computer keyboard shortcut, and combinations thereof, to Launchpads buttons. Max is a visual programming environment which allows you to custom build instruments and effects. Ableton announced 'Max for Live' when they launched Live 8. This means that Max and Ableton are now integrated, so you can build your own instruments (or tweak other people's) within Live. Launchpad can be used to control these instruments. For example, parameters on Max for Live's step sequencer can be triggered using Launchpad's buttons. Launchpad gives you a huge amount of visual feedback. Multiple colours and brightnesses across different buttons display visual information about whether the note is on, the velocity, note length, pitch, and whatever else you want to see! More information about Max for Live can be found at www.ableton.com. • L-shaped USB 1.1 connector.